We managed some quiet time and some serious fun but it is now SUMMER VACATION. My son’s last day of school was last Thursday. Sooooo, now I have to see what I can pull together for a summer writing schedule. True, I have deadlines. But he also has swim team, or at least he will when this fever breaks. That’s right. The first full week of summer vacation and he’s sick. He’s also on movie #2 of a six movie stack from the library so I’ve got time to post this and work on tomorrow’s deadline. Last week I managed to pull down 6956 words — almost a full thousand above my 6000 word goal for the week. This week? Who knows. We will see what we will see. I’m still going to aim for 6000 — I do have two deadlines this week. Wrap up my next article. This one is for the CW annual guide. Done! Solicit interviews for the next article — a craft article for the CW newsletter. In progress — am waiting for one more interview. Write interview questions and solicit interviews for the third piece in rotation — my final piece for the CW annual guide. Done. Rewrite activities and format photos for Education.com. One has been taken to final. Done! Work on my nonfiction picture book. 4 posts for One Writer’s Journey. Done! Write my posts for the Church blog; you’ll note that I don’t know yet how many I’ll be writing for the week. Two. Let’s say two. Done! Hope everyone else is doing well and meeting their creative goals. Not your typical tree photo. How can you take your work beyond the every day? We’ve all heard it before — giving your editor and your audience “something extra” means extra sales. To find out, take a look at this guide. TREEmendous, was assembled and is distributed for free by the Missouri Botanical Garden to compliment their 2011 exhibit, also titled TREEmendous. 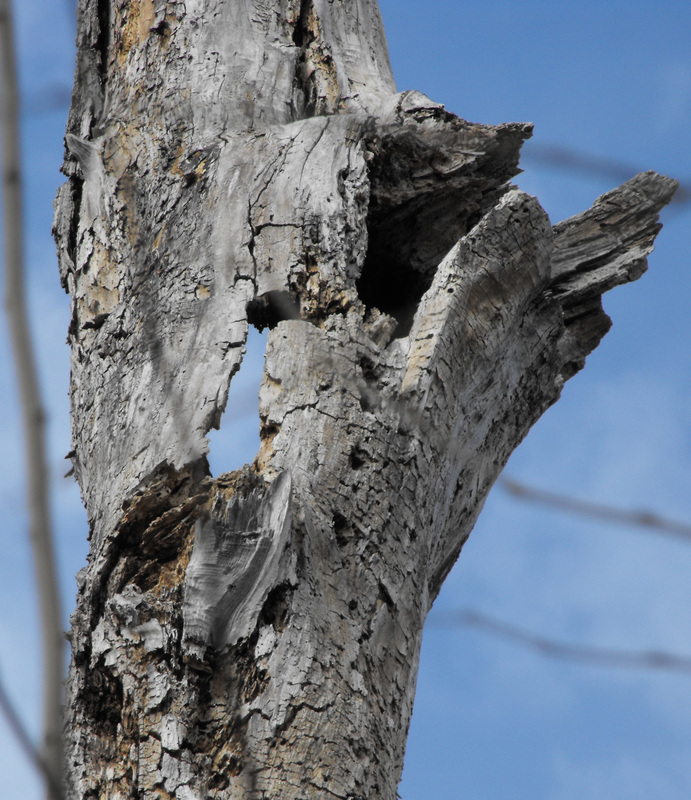 You’ll find information on tree houses (not what you think), a tree-related profession, leaves, what is a tree and more. The Guide isn’t limited to worksheets either but also includes games. How does this guide go beyond what you might expect? Why not take a look and see if you don’t come away inspired to create an “extra” of your very own? It All Depends on What You Are Writing. . . When new children’s writers come to my critique group, one of the first things that I ask them is what they write. There is one answer that makes me cringe each and every time I hear it. What many newer children’s and teen writers don’t yet understand is that they need to know what kind of a story they are writing. And I don’t just mean mystery vs adventure vs fantasy. They need to know if it is a picture book vs a chapter book vs a young adult. In part, you need to know so that your story will be suited to your audience. Obviously, the preschool picture book crowd has very different needs and expectations than do teens. Less obvious, but no less true, they also have different needs than beginning readers. In order for your work to be marketable, it must be suited to the needs of the reader. Here are some quick guidelines for the different types of children’s books, including word counts. For more on word counts, see the post Word Count Dracula on Jennifer Represents. Word Count: I had been told up to 1000. Jennifer’s count? Up to 1,300 words with the sweet spot at 300-550 words. Picture book audiences are generally prereaders — an adult is reading to them. Their attention spans are not always very long. Because an adult is reading to a child, you need to think “read aloud.” Read your manuscript out loud before you send it in because it needs to sing! Examples: The David books by David Shannon, Diary of a Worm by Doreen Cronin, Skippyjon Jones by Judy Schachner, and Don’t Let the Pigeon Drive the Bus by Mo Willems. Word count: I don’t have a number for this one myself. When attempting something of this sort, I check an individual book by my target publisher. Renaissance Publishing, the company that publishes AR tests, includes word count information on books for which they have tests. Jennifer’s count: 100-2,500 words, depending on level. These books are meant to be read by the young reader. Sentences and vocabulary are simpler than most picture books. Illustrations help readers decipher the words. 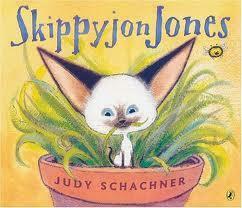 Examples: Mr Putter and Tabby by Cynthia Rylant, Frog and Toad by Arnold Lobel, Fitch and Chip books by Lisa Wheeler. Word Count: Again, I check Renaissance on this one but my target is generally 40 -70 manuscript pages. Jennifer’s count: 4,000 to 13,000 words with a sweet spot at 6,000 to 10,000. Again, these readers are independent but by now they are pretty confident. There usually aren’t subplots yet. Text is broken into short chapters. Examples: Magic Tree House books by Mary Pope Osborne and Junie B. Jones by Barbara Park. Word count: 30,000 to 60,000 words. Jennifer’s count: 25,000-75,000 depending on whether it is realistic or fantasy. By now, you can have subplots but romance, if it is there, is low key. This is the age that kids are pulling away from parents and identifying more with their friends and this is often reflected in middle grade plots. Examples: The Terrible Secrets of the Tell-All Club by Catherine Stier, Kid vs. Squid by Greg van Eekhout, and The Fantastic Secret of Owen Jester by Barbara O’Connor. Personally, I always think 45,000 to 100,000. Jennifer’s count: 35,000-100,000 words depending on realistic vs fantasy and whether or not it is a debut author: debut author’s generally do not get as many pages. Examples: Suspect by Kristin Wolden Nitz, Gateway by Sharon Shinn, and Simon Says by Elaine Marie Alphin. Many of the children’s writers I know are looking for agents. Thus, we spend a lot of time talking about where we find agent info. Here is a blog recommended by my writing pal Shannon Moore. In Literary Rambles, Casey McCormick and Natalie Aguirre profile various agents. Take some time to check it out. 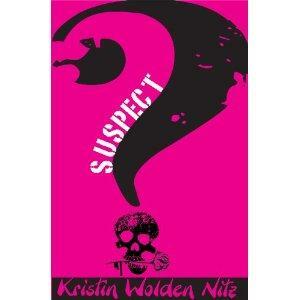 Hip hip hooray for writing buddy Kristin Wolden Nitz and her novel, Suspect. Keystone State Reading Association. To be eligible, high school seniors must read at least four of the books on the list. They will then vote for their favorite. You can find the whole list here. Whew. After a slow start last week, I really got going and pulled down 6667 words, topping my 6000 word/week goal. Not that I got to all ten goals but I did manage nine of them. This proves it for me. Ten goals is really my do-able max. Wrap up my next article. This one is for the CW annual guide. Solicit interviews for the next article — a craft article for the CW newsletter. In progress. Write interview questions and solicit interviews for the third piece in rotation — my final piece for the CW annual guide. Do the activities, take photos and rewrite the 11 activities I have contracted for Education.com. One has been taken to final. That means I have 10 more to go! In progress — 9 more to go. Finish this next rewrite on my nonfiction picture book. I’m really happy with how this one is coming together. Write my posts for the Church blog; you’ll note that I don’t know yet how many I’ll be writing for the week. Done! The last day of school is this Thursday although I’ll have some time to myself while the boys are off fishing. Some time to spend reading and writing and knitting. Hope your own goals are coming along well. A bit more information on the Missouri SCBWI PAL retreat on April 27-29, 2012 with Viking Editor Kendra Levin. The event will be at an amazing Historic St. Charles B&B, The Lococo House. Take a look at the guest rooms. Gorgeous! How do you feel about copyright? If you’re a writer, you probably have a strong opinion. You may even have had to go after a publisher who has printed your work without paying you. Or maybe you had to go after someone who posted your e-book for free. Author Cory Doctorow’s take on the subject may surprise you. For Doctorow, it doesn’t make sense that someone can loan a friend their hard copy of Little Brother but if they do the same thing with their e-book (short of handing over their reader) they are violating the law. Doctorow’s opinion? Make your e-books available for free. Let people copy them. Let them help you find new fans. That, after all, is the best way to make sales. And, in this spirit, he has given Write4Kids permission to compile several of his essays on the topic into an ebook that they have made available, for free naturally, to the public. You can find it here on their web site. Give it a read and see how much sense Doctorow makes. Check out this awesomely creative video, This is Where We Live by 4th Estate. You’ll find yourself wondering through a city of books. Sorry, but I can’t get it to embed for whatever reason so you’ll have to use the link above. The Poetry Foundation named the next Children’s Poetry Laureate — J. Patrick Lewis. Lewis is the author of some 40 children’s books including Good Mornin’ Miss America, Castles, Once Upon a Tomb, Wing Nuts, Vherses, Monumental Verses, and more. If you have’t read his work, visit your local library and check it out today! I have three requests in already.